Just getting to Florida is expensive — airline fares, gasoline, and car rentals — not to mention hotel and food costs. So are theme park tickets — most are north of $100 per person. Here's a little secret, you actually do not have to go to the theme parks. Take the vacation, but stay at a Disney Resort. Wondering why? Not only can your children see their favorite characters, but they can also eat with them at a character dining experience at one of the resorts. You will not be depriving your family if you do not visit the theme parks. There are plenty of activities and adventures to be had on Disney World properties. Stay at one on-property resort — even the value resorts — and you open yourself up to the activities and amenities at all the resorts, not to mention the perks of staying at a Disney resort. A short bus trip or boat ride takes you to the door of any of the Disney World resorts and all they have to offer. 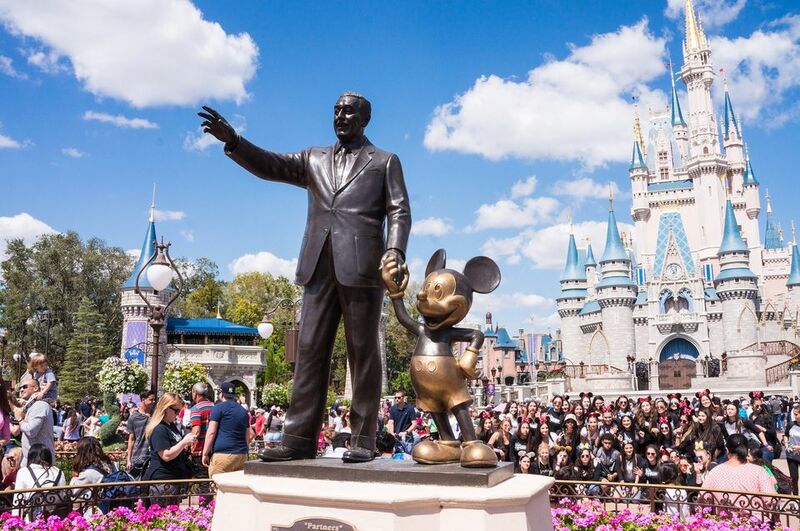 Each Disney World resort is themed, some with larger-than-life icons. There are resorts with princess and pirate-themed rooms, as well as fun themed suites at the Art of Animation Resort and All-Star Music Resort. The themes even carry over to the food courts, restaurants, and merchandise in the gift shops. Each resort's pool is designed to blend into the resort theme. As an example, Stormalong Bay at the Yacht and Beach Club Resorts features a water recreation area with a life-size shipwreck with water slides, a sandy lagoon where you can snorkel, and a meandering swimming area that flows into the surrounding lake. Florida's coastline is not the only place to find beaches. Several Disney World resorts like the Caribbean Beach Resort and Beach and Yacht resorts feature white sandy lakefront beaches. Beach chairs are scattered about and you can even find a volleyball net at the Fort Wilderness Campground beach. Disney's water parks do require separate admission but are definitely worth it. Both Blizzard Beach and Typhoon Lagoon offer plenty of water play fun to fill a day. If you think you can't see Disney characters unless you go to the theme parks, you're wrong. You have to eat anyway, so why not take in one of the character dining opportunities at various resort locations on the Disney property. There are hidden abstract images of Mickey Mouse found nearly everywhere on the Disney properties — even the resort hotels — and finding them has become a passion for many guests. Join the fun, and don't forget to check the wallpaper and carpet. Day or length-of-stay passes to workout facilities are available at the Grand Floridian and the Yacht and Beach Club resorts; bring along your running shoes or your inline skates and the world is yours. Boat rentals of various types and sizes are available at several resort locations. You are free to explore the waterways on Disney properties, and if you feel especially adventurous, try parasailing. Fort Wilderness is the location of Circle D Ranch where horseback riding is available by the hour. Fort Wilderness is where you'll find carriage or wagon rides. Reservations are required, but these can be a great romantic gesture or a fun family outing. Where do Santa and his elves spend the summer? Playing the elf-sized 36-hole miniature golf course — Disney's Winter Summerland — located near the entrance to Blizzard Beach water park. Walt Disney World Resort has grown from a place that offers a couple of afternoons of golfing fun to a world-class golf vacation destination with five championship-caliber courses and a total of 99 holes. Bicycle rentals are available, but if you want a unique experience, rent a surrey bike at Disney's Boardwalk. These canopied vehicles built for four are just the thing for family touring. Relax under the spell of an array of spa services at Disney's Grand Floridian Spa — indulge in facials, water therapy, massages, and body treatments.